4. Selma’s now. 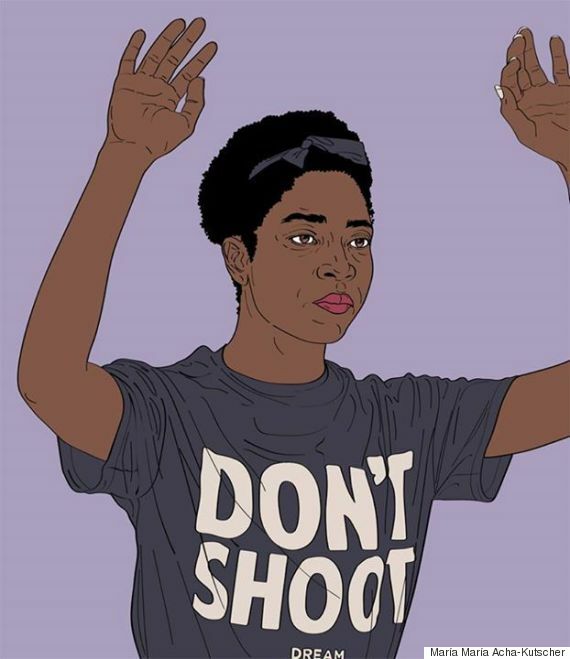 In “Glory,” the Academy Award-winning song from the 2014 motion picture Selma, John Legend and Common connect the civil rights movement to the Black Lives Matter movement. 6. Solidarity rap . 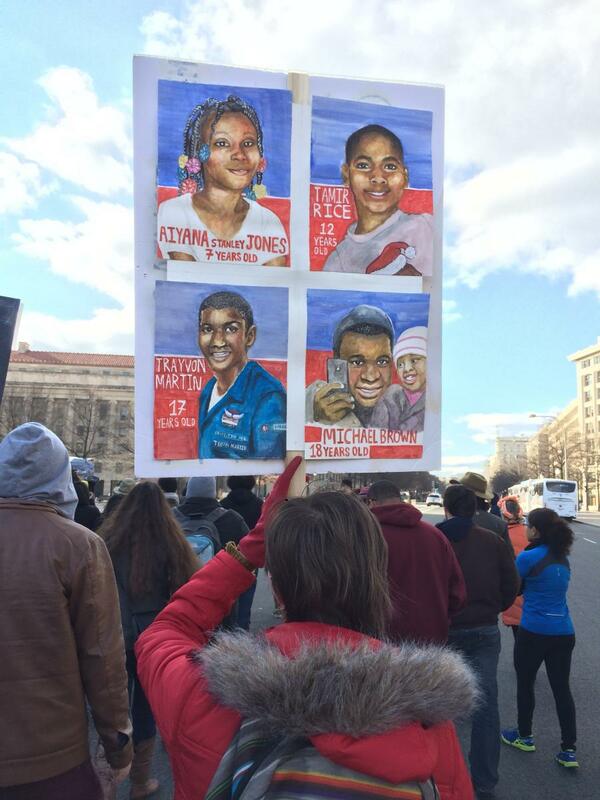 Pittsburgh-based hip-hop artist Jasiri X, featured in Julie Polter’s “Were You There?” ( Sojourners March 2015), wrote the song “Strange Fruit (Class of 2013)” about the injustices surrounding the deaths of three teenagers of color in 2013. 7. Portraits of power. Kehinde Wiley is a New York based portrait artist. He aims to “quote historical sources and position young black men within the field of power.” Recently, he has begun including women of color as well. His large canvases can be viewed at the Brooklyn Museum through May 3. 10. For the mothers. 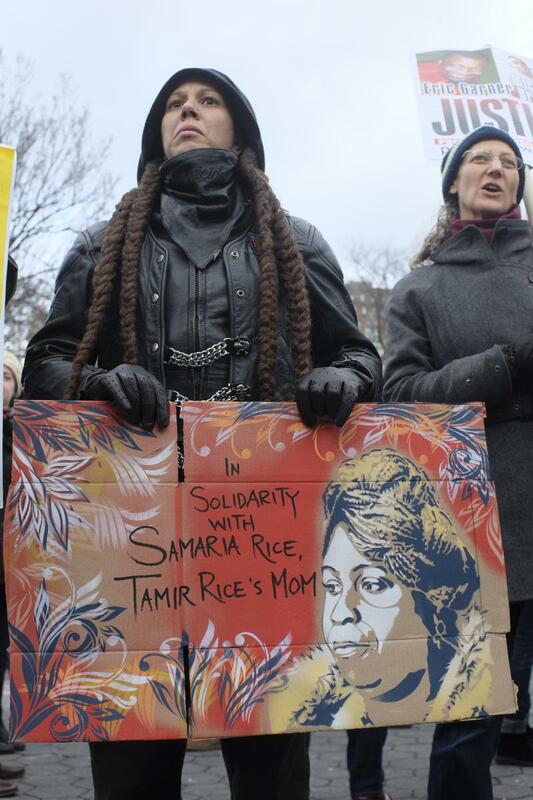 A woman stands in solidarity with Samaria Rice, the mother of Tamir Rice, at a gathering of protesters at Union Square Park in New York City. Jenna Barnett is an editorial assistant for Sojourners. Find her on twitter @jennacbarnett.